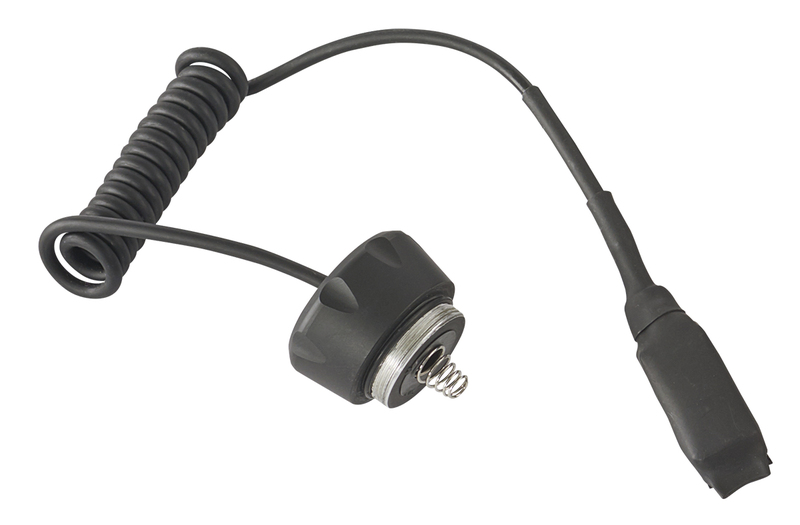 This cord switch is made for the OD40 Optical Dynamics Long Distance Illuminator flashlight. It’s cap is designed to provide a water-tight seal to prevent water from entering the battery compartment. The coiled, rubber wrapped cord provides ample distance whether mounting your light to a predator hunting rifle or your ATV. The simple-to-use depression switch turns the light on when depressed and includes and adhesive strip for out-of-the box readiness.